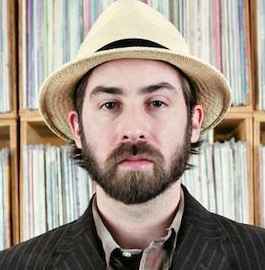 JTC (formerly James T. Cotton) is an alias of Tadd Mullinix (aka Dabrye, SK-1 & Charles Manier). The Metro-Detroiter has been an active DJ/producer since the mid 90s and is one of the first artists signed to Ghostly International/Spectral Sound. Mentored by and in collaboration with JTC, Melvin Oliphant (aka Traxx (4)) launched the record label Nation to release their music which was incongruous to the tempered sounds of the so called minimal techno and tech-house era. After producing for a number of labels, Mullinix launched his own label, Bopside (2014). The label was founded with the intent to release his own special projects and collaborations.